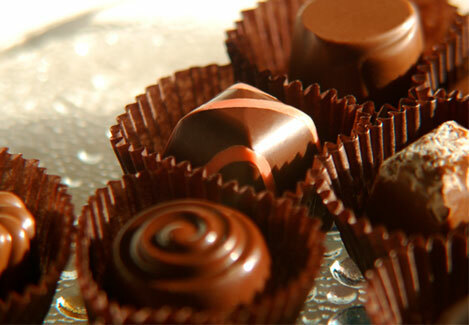 Kelly Walker from Richmond's own Chocolates by Kelly, will be at Little House tasting her spring truffles! Come try fresh combinations like lavender and vanilla pear, April 12 from 3-5 pm. Kelly comes from a long line of chocolatiers and confectioners- her family has been making chocolates for 100 years! Chocolates by Kelly uses the world’s finest single-origin cacoa from South America to handcraft their truffles, caramels, and liquor cordials. Traditional confections like the S’mores and salty pretzels will make you feel like a kid again, while their daring and innovative techniques and flavor combinations will tickle your sense of adventure. The Little House Veggie Box is a subscription for a fresh selection of local and organic produce, packed and ready for easy pick up every week. A Veggie Box subscription is built to support your health and to benefit our local food system all while making your life easier. With our Veggie Box Subscription, you can enjoy fresh, local and organic produce year round! For $27 per week, we provide seasonal veggies, herbs and fruit boxed and ready to pickup at Little House. You can also add eggs, coffee or bread to your weekly Veggie Box. Basics= covered! Once you sign up, you will receive an email every Tuesday with the contents and origins of your weekly box, along with farm news and recipes. Subscriptions are rolling. Eat healthy and eat local with a Veggie Box! Want to learn more about natural wines from around the world? The Little House Wine Club is a monthly subscription featuring lively and interesting small production wines with a distinct sense of place. A Wine Club Subscription includes two wines per month- one red and either a white, sparkling, or a second red. the use of sulfates is minimized or entirely avoided. The Little House Wine Club is $35 per month plus tax and showcases wines that are ideal for everyday enjoyment.